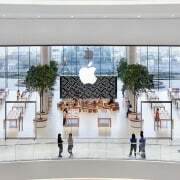 Elevated above the “River of Kings” – Chao Phraya River – in the heart of Bangkok, the Apple store design provides a direct visual connection to the river, which has a special significance in Thai culture. 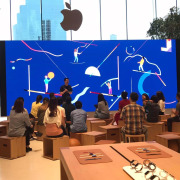 Apple has opened its first store in Bangkok, with the design continuing the open glass structure that has proved so effective in other major cities around the world. 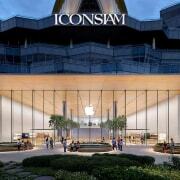 Elevated above the “River of Kings” – Chao Phraya River – in the heart of Bangkok, the design provides a direct visual connection to the river, which has a special significance in Thai culture. 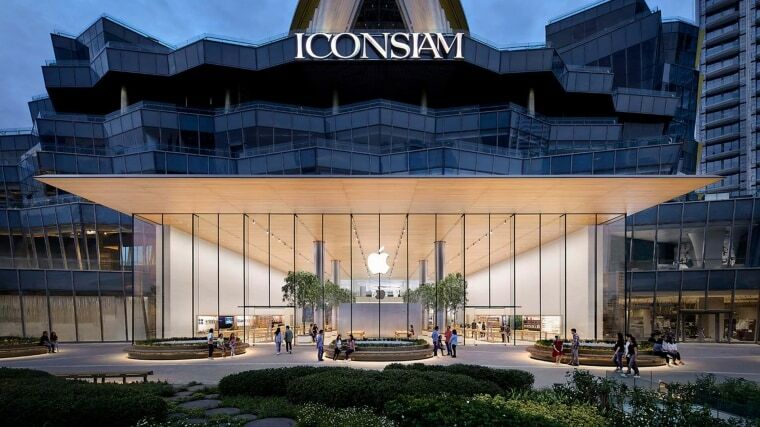 Apple Iconsiam features two expansive glass facades that create transparency and connections, bringing daylight deep into the space and allowing panoramic views of the city skyline. 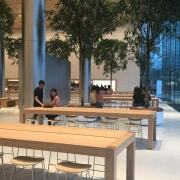 Featuring a sweeping curved entry made with stone, the journey through the store continues to the green roof garden, where visitors can admire local art, participate in a Today at Apple photo or sketch walk, or simply enjoy iconic views of Bangkok.